Iacon is an Autobot-controlled city-state, located near the north pole of Cybertron. It is also the location of the capital city of the same name. Kaon is a Decepticon-controlled city-state in the southern hemisphere of Cybertron. Under Decepticon rule, its capitol is the fortress of Kolkular. borders Iacon, Kalis, the Neutral Territories, the Rust Sea, the Tagan Heights and Uraya. It is home to most of Cybertron's deep-space research facilities. Uraya is one of Cybertron's city-states. It is the largest of the Tri-Peninsular Torus States, and borders Iacon, Altihex and the Neutral Territories. The Rust Sea is an area of unstable planetary matter and molecular flux located along Cybertron's equator, stretching from Tyrest to Polyhex to the Tagan Heights and Altihex. It constantly emits a collection of corrosive, yet relatively harmless gasses. The Hydrax Plateau rises out of the center of it. Cybertron's primary spaceport is located here, where planetary visitors must check in first. With war being the most secure factor in Cybertron's long history, one would almost forget "neutral" doesn't have to refer to the not wearing of an insignia. The Neutral Territories are called as they because the domain provides a free settlement zone and trading quadrant to the Cybertronian population. The area is bordered by Uraya, Altihex, Kalis and possibly Protihex, Praxus or both. Home to The Acid Wastes that span most of the Stanix region in Cybertron. They are a blasted, unforgiving landscape; contaminated by neutronic fallout, wracked by earthquakes, freak weather conditions, and of course acid rain. The neutronic fallout in the Acid Wastes can produce severe allergic reactions in some Transformers. Polyhex is a settlement that lies in the northern half of Cybertron, where it is surrounded by the Rust Sea, the Tagan Heights, Iacon and Nova Cronum. The fortress Darkmount serves as its capitol. Polyhex is in charge of Cybertron's satellites and home to the Cybertron network command hub. 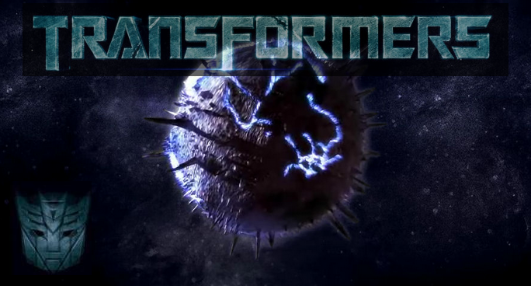 Vos is one of Cybertron's many city-states. It borders Tarn, presumably close to Iacon's borders. Vos is rich in energy sources, granting it independence from the other city-states. Tarn is one of Cybertron's many city-states. It borders Vos and Iacon. Tarn is the largest city-state after Iacon and, in a military sense, its superior.